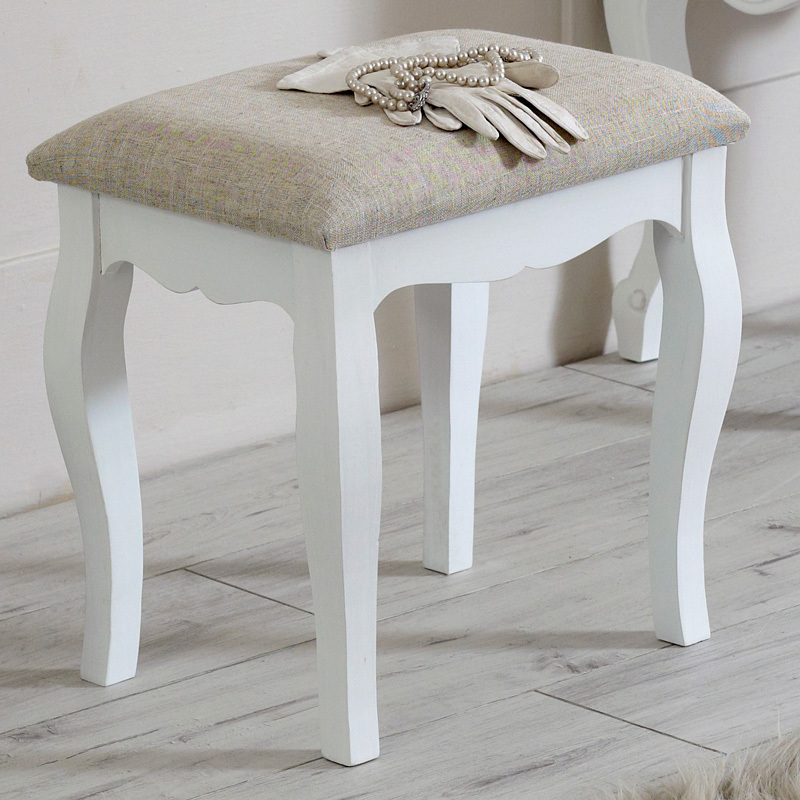 Our white painted bedroom dressing table stool from the Lila Range will go perfectly with any white coloured dressing table. 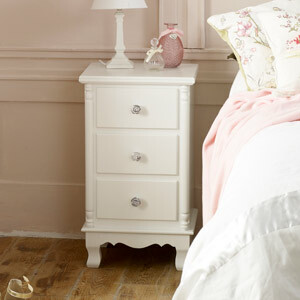 Lila Range is a white painted bedroom collection and comprises of dressing table, stool, mirror, bedsides, chest of drawers and wardrobe. 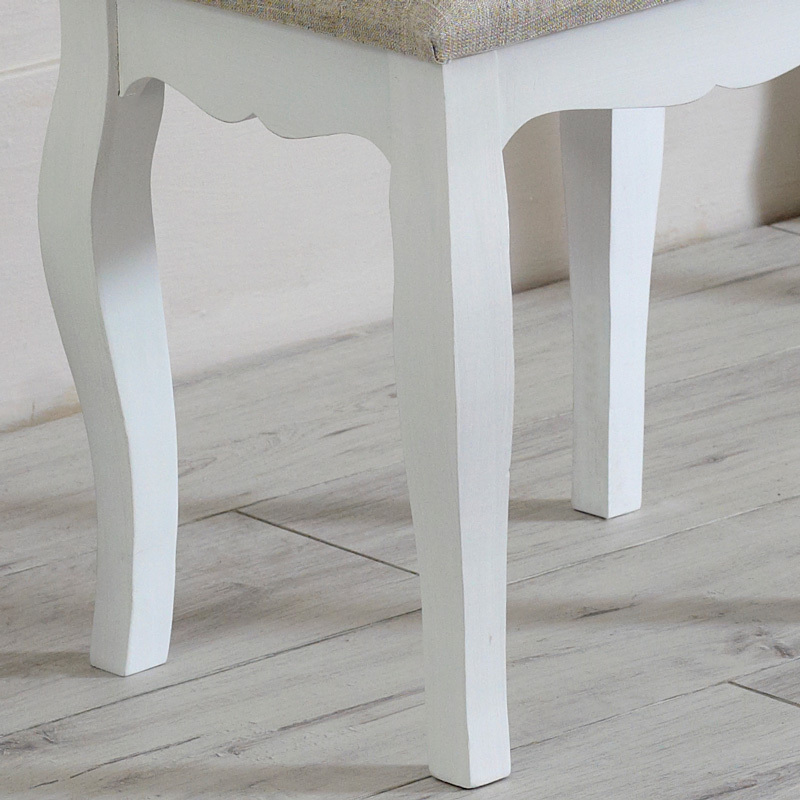 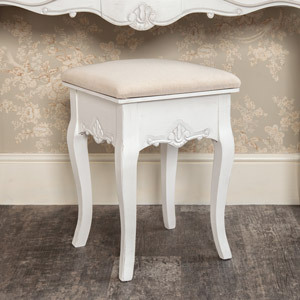 From the Toulouse range, this Dressing Table Padded Stool is made from wood and painted white. 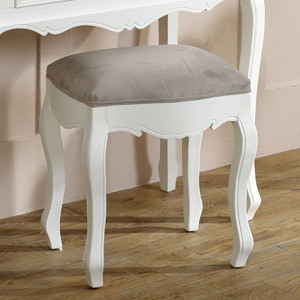 It has a padded seat which is covered in beige velour and its legs are curved. 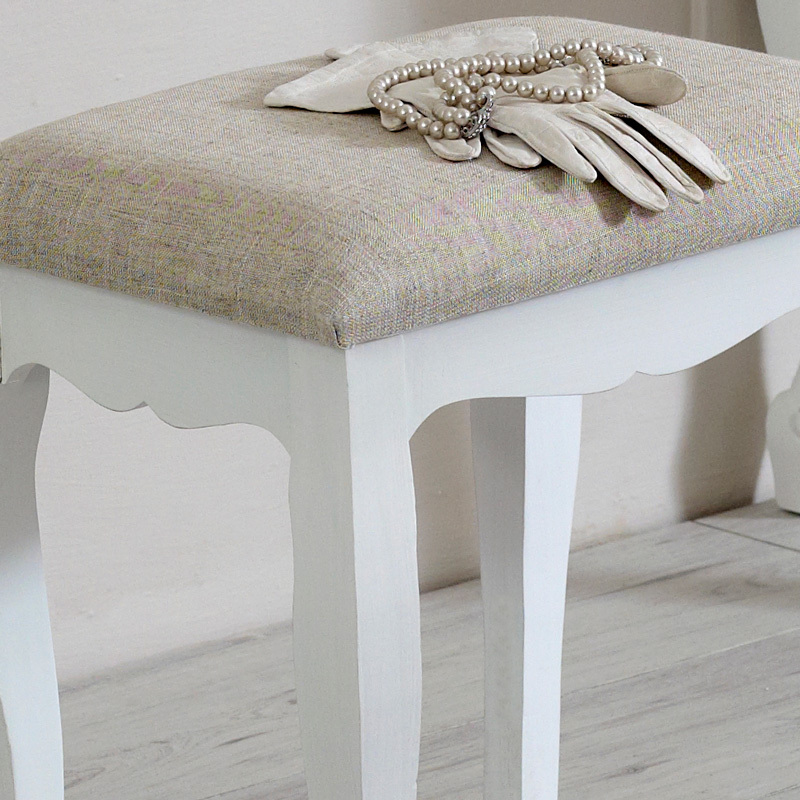 We have matching items in this range. 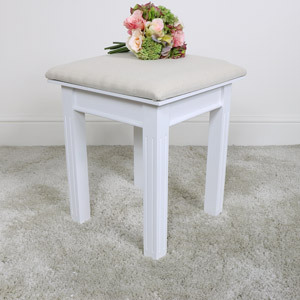 Its dimensions are 42 cm x 40 cm (width x height).